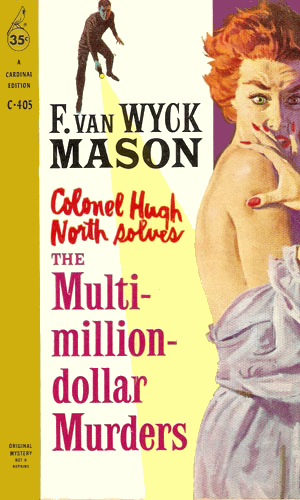 Hugh North is an agent with G-2, Military Intelligence. 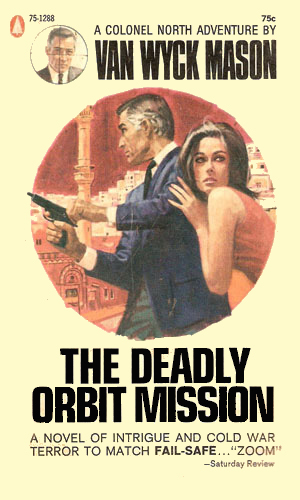 From the first recorded assignment in 1930 where he has the rank of Captain to his final mission as a Colonel in 1968, Hugh North combines a keen analytical mind with a penchant for action. Toss in a dashing quality that is highly attractive to women and you have a hero perfect for four long decades. The author's love of traveling is clearly shown in the rich detail that abounds in each adventure. 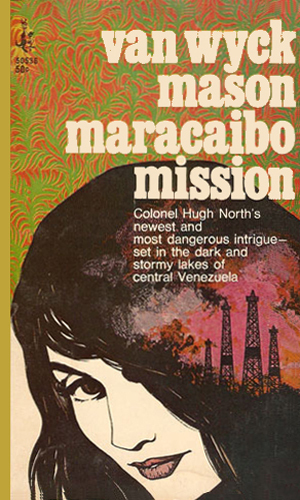 The locations for these combination spy and mystery novels are wide and varied, from the frigid ceiling of the world in the Himalayas to the arid and parched land outside Tangier. The capitals of the world and the backwater ports and towns are equally portrayed so well you truly feel there. 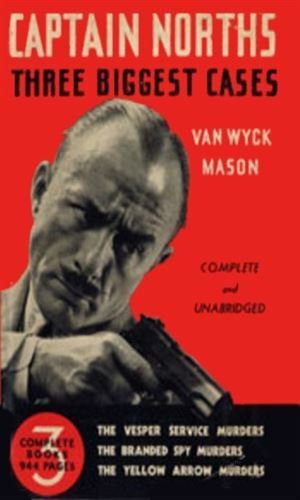 As mentioned, the stories are really a combination of espionage and murder mystery, especially the earlier one (pre-WWII) when North was primarily an investigator for the Army's Criminal Investigation Division of G-2. 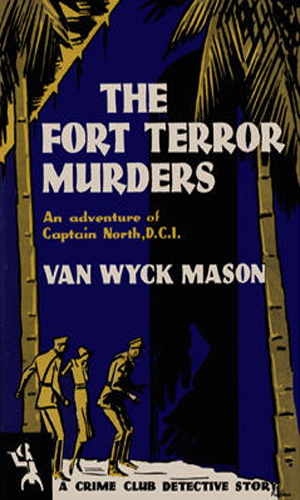 Later this changed as the Second World War chilled into the Cold War and North became an adventuring intelligence officer rather than a police inspector. 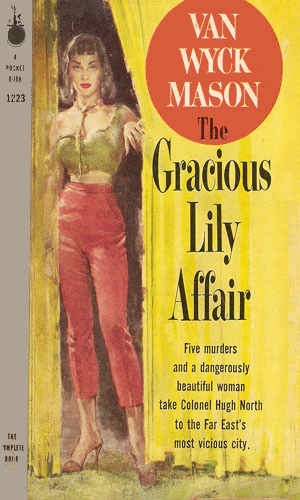 Despite the long period of writing (‘30-‘68), the character does not age very much. He is in his early to mid 30’s when the series starts and is in his mid to late 40’s when the last adventure takes place. North is first and foremost a detective, able to spot clues and contradictions when most people miss them. He is tall and handsome with a face that women find appealing without being overly attractive. He is well liked by his fellow males becoming an easy close confidant to many without trying. These traits make him someone people enjoy talking to and he is a great listener with a superb memory. As the series changes over time and North becomes more of a man of action than a solver of murder mysteries, his attention to detail remains but his puzzle-solving skills morph to plan making. He still remains, though, an intrepid bloodhound when his dander gets up. 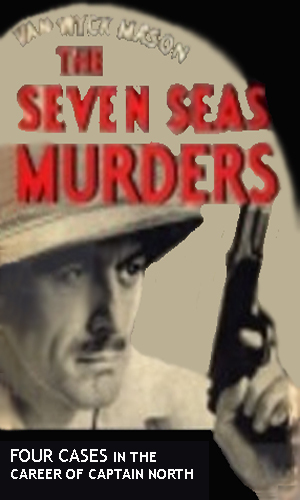 Note: The short stories contained in The Seven Seas Murders were re-released several years later in books entitled Shanghai Sanctuary and The Munition Ship Murders. 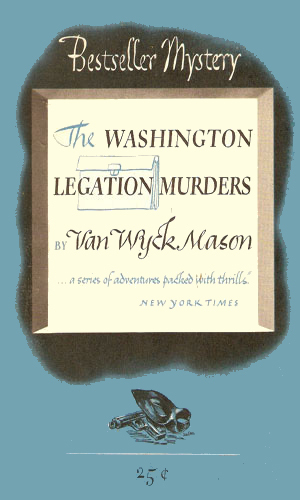 Hugh North is a guest at a dinner party of a wealthy stock broker when the broker's partner is found hanged, an apparent suicide. 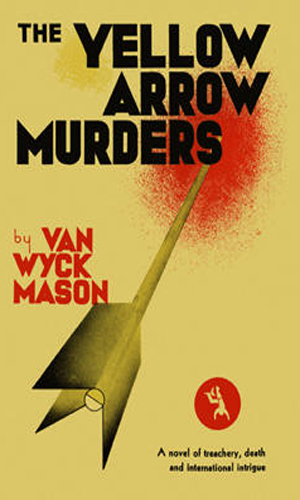 The broker's own death the next night from a stabbing makes North determined to find the killer. Also intriguing are the three seeds found at each site. 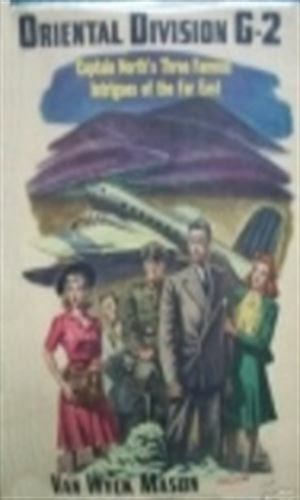 Stopping at an American army post in the Phillipines, Hugh North is one of the guests at a dinner in which the story of a buried treasure is mentioned and one of the fellow guests is certain he holds the answer. When he goes missing, North is pressed into service to find him and solve the murders that ensue. 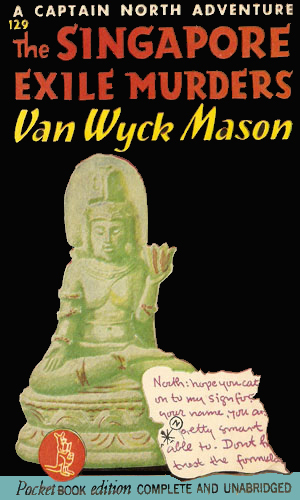 The attempts on the life of Judge Mackaye seem to be the work of the underworld involved in gang wars but Hugh North believes the truth lies in the true identity of a WWI traitor known as the Vesper. 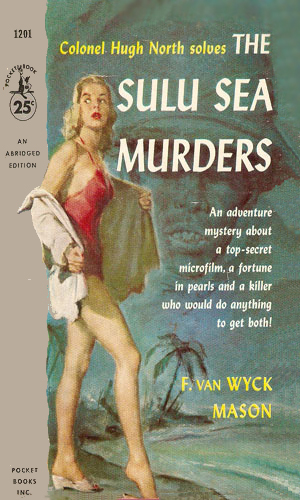 Hugh North is pulled off a case involving smuggled machine-guns to investigate the murder of a Naval Intelligence officer in Cuba near Guantanamo. 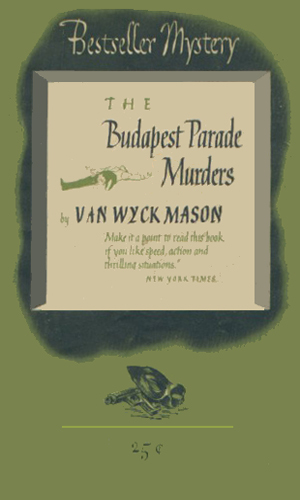 The dead man had been on the trail of a German trouble maker, as had two other agents who had mysteriously disappeared. 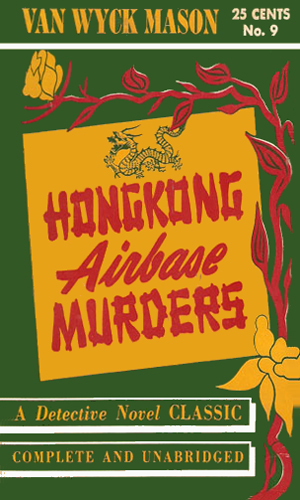 In Honolulu chasing a possible Russian spy, Hugh North has to change gears when a young woman is found dead, floating off the docks of a powerful steel magnate. 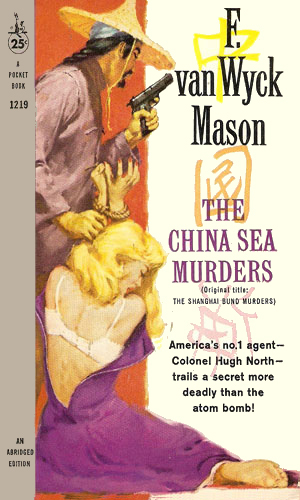 Evidence points to espionage but was she spying for the Americans or for the Japanese, and who killed her and why? 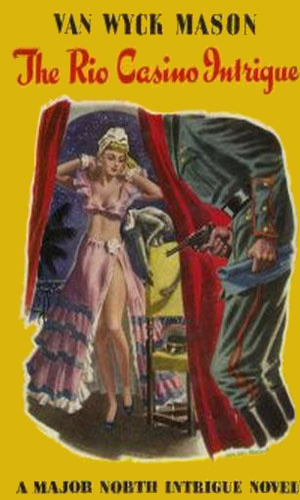 Blackmail over past indiscretions is the key behind an attempt by foreign powers to acquire a chemical formula of a substance invaluable in war. 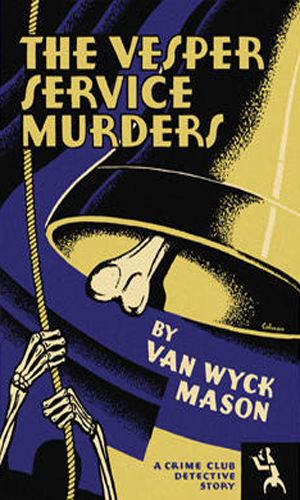 Someone onboard the train North is riding is behind the threats and, when that didn't do enough, the murders. Back in Washington, North is on the trail of spies out to acquire the latest in American weapon technology. 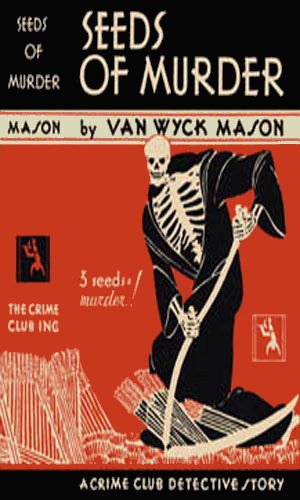 What he finds is murder, considerable diplomatic hanky-panky, and a skeleton that glows green. A collection of four North adventures taking place around the world. 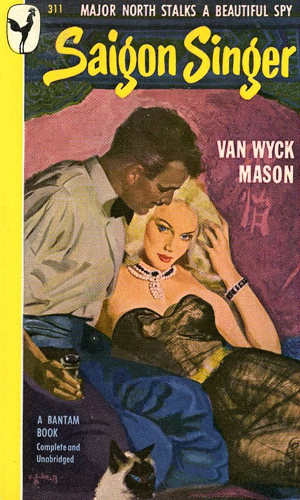 "Shanghai Sanctuary" takes place in the Far East. "The Reporter" is in Africa. Central America is the locale for "Port Of Intrigue". 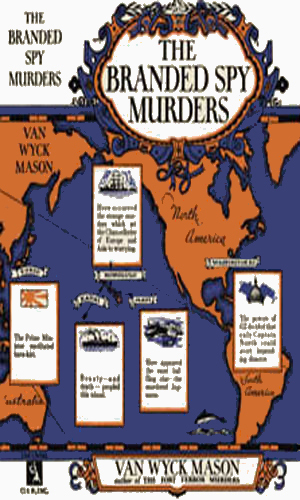 "The Munition Ship Murders" takes place onboard a ship. In Bermuda, a group of men and women are conspiring to undertake a multimillion dollar deal that North must find a way to stop. Note: This was revised in 1960. It is to Hong Kong that North is sent next. An American airline company has come up with a formula for an emergency fuel compound that can give an aircraft incredible range. North must provide protection for the formula but on the day he arrives, it is stolen and its inventor killed. 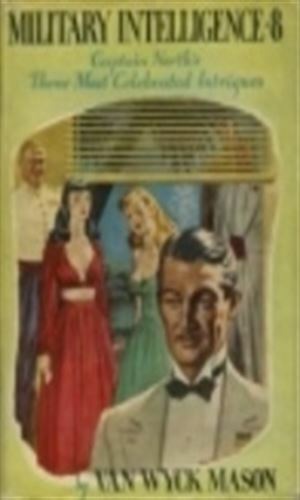 North cuts short a well earned vacation in the south of France to hurry to join up with an ocean liner his friend Kilgour is on. The help needed concerned a major gun-running ring that North's friend is following. The area is Southeast Asia for this assignment which has North going against agents from a good assortment of nations, all vying for control of formula for greatly improved steel used in military armor. North gets promoted to Major. 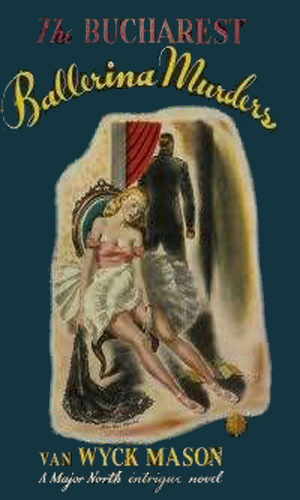 North finds himself stuck in a gorgeous villa in Romania where murder is the order of the day as numerous parties go in search of a highly covetted formula. 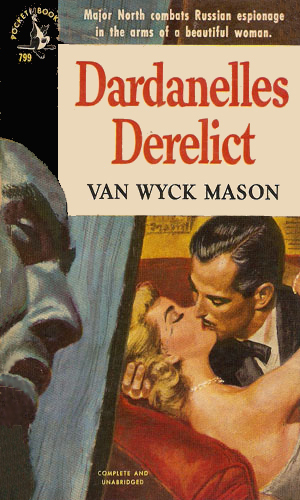 He also finds that the exotic Contesse di Bruno is really a Connie Fletcher from Kansas. While already on an assignment in Sao Paulo, North is sent a coded directive to head to Rio to assist the State Department in finding a ship, name destination unknown, carrying a large shipment of gold for a would-be dictator planning to overthrow the Brazilian government. From Manila to Saigon, North is hot on the trail of a lady spy who has a list that he must retrieve even as others are as determined to take it from both of them. Somewhere behind the Iron Curtain was an American agent holding plans for the newest Communist jet technology and North has to find him and get him out. Jonkhar is a small nation in the Himalayan Mountains that the U.S. wants as a friend but which is ruled by an anti-West leader that North must somehow persuade. Forced to cut his vacation short, North is in a foul mood when he heads to Tangier to find out what the Soviets are up to in the North African port city. The lovely Marya might help soothe him but then there the fake North causing trouble. As North tries to find which of five people in Bermuda is the mastermind behind a nefarious plot to start another world war, his own bosses are determined to stop North. 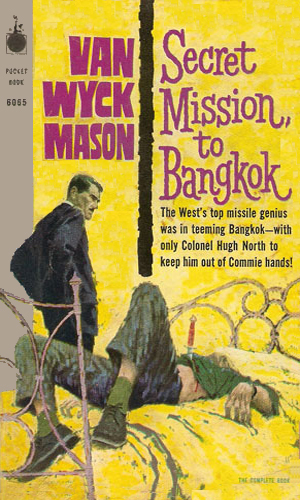 North's task is to guard an American missile scientist as he heads to Bangkok but the Soviets and the Chinese both want to get their hands on him. 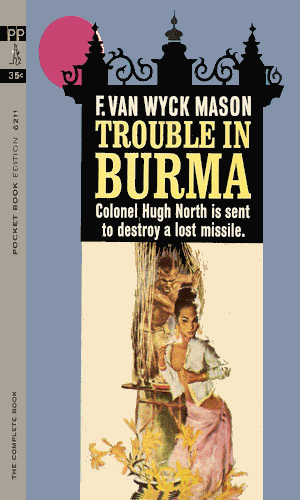 As he seeks a fallen plane with a missile that must be destroyed, North finds that atmosphere in Burma quite unhealthy, especially when near the luscious Madame Bo. 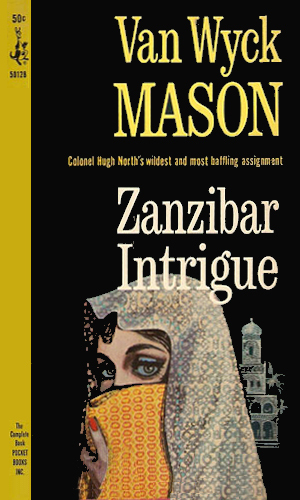 North has but three days to find and rescue a CIA agent hiding in Zanzibar but there are many others looking for him for less noble purposes. Somewhere in the Andes Mountains of Venezuela, the Soviets have a secret lab where they have created a lightning weapon that North must steal or destroy. The Soviets claim that one of their nuclear missiles has gone crazy and is now orbiting the planet. North must find the truth before the Pentagon launches WWIII. aka Major North - Army Intelligence. 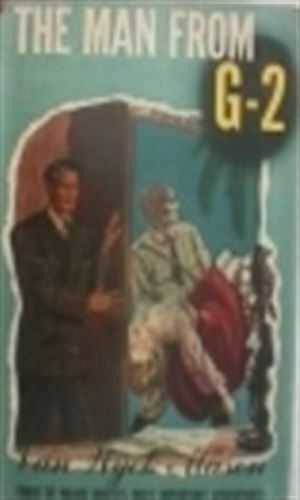 The programs contained mysteries taken from adventures depicted in the novels. 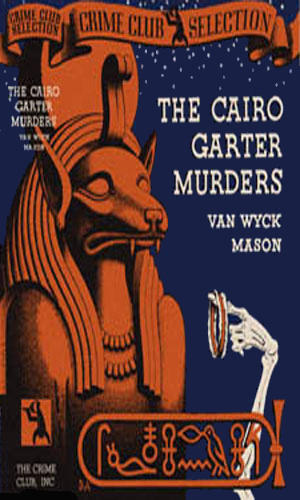 According to the great book on radio programming by Jim Cox, there were 39 episodes, each 30 minutes long. They ran April 12-May 24, 1945 (Thursday) at 7:30 pm, June 29-Aug. 24, 1945 (Friday) 10 pm, and Sep. 1 1945-Feb. 2, 1946 (Saturday) 8:30 pm. 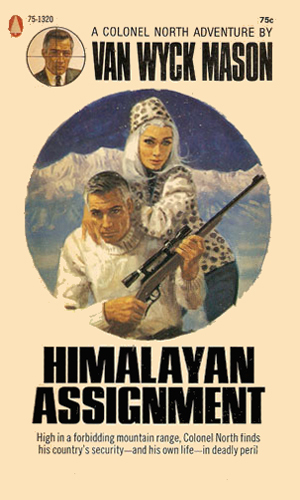 I would recommend strongly the entire library of Hugh North adventures as not only damn good yarns but also two other noteworthies: very impressive travelogues and quite acceptable modern history books. As the travelogue, the author painstakingly brings the various regions North visits alive in rich and full detail. Smells, sounds, and just feelings are all captured and passed on to the reader. As the history book, the author can gain a tremendous feeling of the world before, during, and after the Second World War. Most impressively is the attitude and atmosphere just before hostilities commenced. The Hugh North chronicles are well worth your time.